Nims is a four-year-old male tricolor smooth coat Jack Russell who weighs in at a very overweight 27 pounds. Jacks Galore is working very hard on reducing his weight to a stocky but healthy 19 pounds. 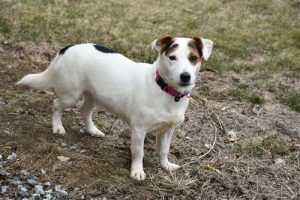 Nims was part of a “four pack” of Jack Russells who came from New York City when the owner, because of health reasons, immediately had to give up his dogs. With the help of two extremely kind people who knew the elderly man, they came into rescue. 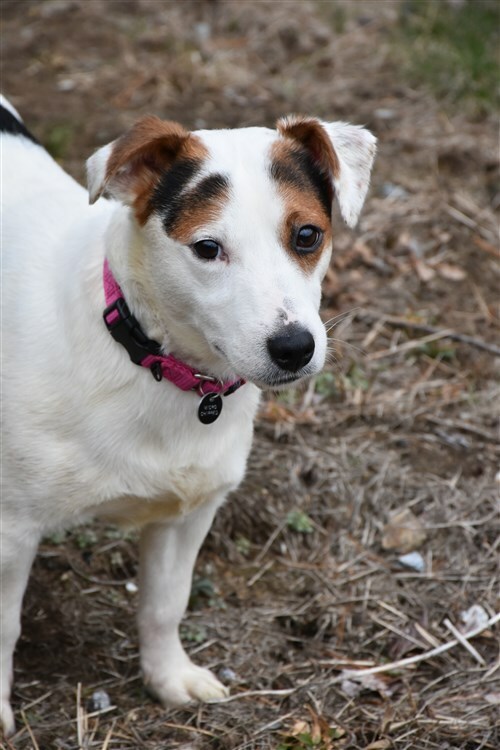 Their living situation was far from ideal, and the dogs are clueless when it comes to knowing what other JRTs take for granted. What is a family, a safe home environment, decent food, a soft bed? Nims is now slowly learning what life means; beginning with the understanding that we will provide him with everything for healing. Healthy food, clean fresh bedding, feet on the grass, walks to smell the air, and a tender loving touch with hands that only heal. Watching a dog experience these things for the first time is a revelation. In true Jack Russell form, he is an extremely quick learner. He learned the dog door immediately, understanding what outdoors means, a leash is good, and the human hand is there to caress and the voice only for positive reinforcement. Now Nims longs to come close, crawling with his belly inch by inch and placing his lovely chin on his human’s lap emanating a deep sigh as he gently closes his eyes all the while relishing the comfort of a person’s hand. The New York City 4 will be a work in progress, a challenge, but an extremely rewarding one. We do not think it will take long for them to blossom and become part of the fabric of their new family. 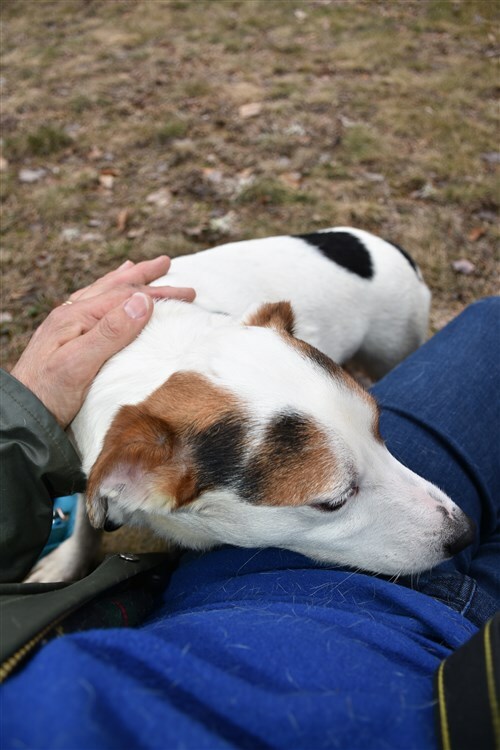 When you see such yearning in the dog’s eyes, and excited when they learn something new earning your praise, then you know it will be only a matter of time before the Jack Russell becomes just that: a Jack!